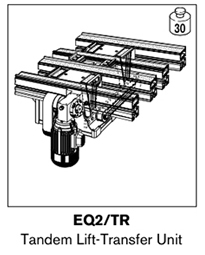 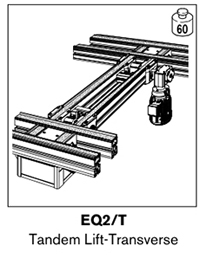 EQ2 Units (electrical transverse convey- ors) are used to move workpiece pallets horizontally from one conveyor section to a second adjacent conveyor section. 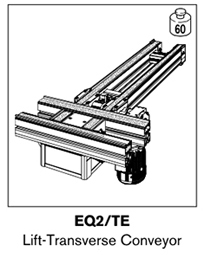 All EQ2 units are complete modules that have one drive motor that works in tandem with lift position units and or transverse conveyor sections. 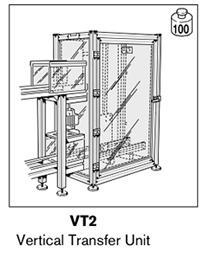 The VT2 (vertical transfer unit) is used to transfer workpiece pallets vertically between upper and lower conveyor sections.